Our identity what it means to us, and what we want others to see our identity as is something that is important for us – it brings stability, a sense of self confidence and ultimately defines who we are. On forms to speak about ourselves we disclose our name, gender, sometimes age and usually our nationality. We go to another country we define ourselves by where we are from. What if something about your identity was taken away? Following a usual game of 3-2-1-Go! the girls I was playing with wanted to sit down, rest and have a chat. One of the girls had learnt English through her mother and watching Indian movies, and was keen to speak to improve her english. With her wanting to act as my translator, with the help of Tambi at UNHCR, the girls lead about cricket, family, the war in Syria, their views on Asad and their life in the UK. I am used to facilitating a discussion and following up with questions to draw out more information, but was slightly taken aback although encouraged when one of the girls had the confidence to ask me ‘what do you see me as?’ I replied ‘a girl who I have just played cricket with, and having a chat with – what do you see yourself as’. She reflected, and said ‘ I see myself as Syrian, but I am shy to say I am Syrian as that causes me problems and I am ashamed with what has happened, but I am Syrian and I want to be Syrian. People are quick to label me as a refugee also, but that’s not a nationality. I am Syrian’. We went on to discuss what it meant to be Syrian, other than geographical boundaries. 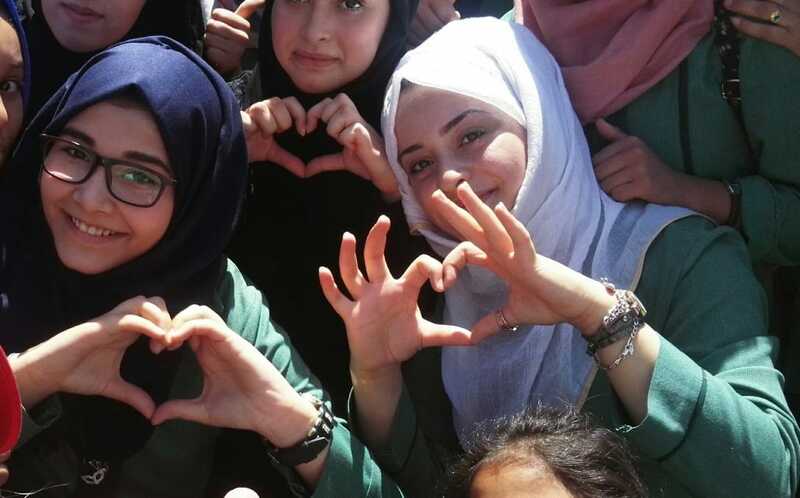 We talk about how being Syrian meant pride, love, compassion, kindness, and the connections between families and friends in their communities which they used to have before the war started and how they all supported each other. The girls in the group similarly held a same view, although some were starting to say their are half Syrian half Jordanian, in order to not have problems or because they had lived so long in Jordan they wanted to reflect this in their identity. In a professional capacity I have worked with refugees and forcibly displaced people on a number of years, and not questioned twice when I have asked people about their nationality when establishing their identify, why they had come to the UK or why they wanted to come to the UK, other than working with people who define themselves as stateless, but who can usually identify with being from Kuwait. Reflecting on what was discussed today, what the girls I was speaking to had been through, the impact of war of Syria, losing members of the family, a temporary residence in Jordan which led to them moving around in the northern area of the country, how they identify themselves and despite all that everything that any other teenager deals with. I came into this project when Jamie pitched the idea to me last year over email, wanting to explain to people that refugees, asylum seekers, forcibly displaced people, or more crudely migrants are more than just these simple labels which so often we are quick to define them as. Everyone no matter who they are has a story to tell, and through playing cricket this week we have been able to start to bring this out in a group of kids who often are not asked about what their own story is.